Cadtek has been established for over 28 years and has unrivalled experience in providing design solutions for designers and engineers across all disciplines and multiple industries. The company provide CAD (computer aided design) solutions within the SolidWorks portfolio. The software allows for 3D design, simulations, testing and virtual prototyping of any design, or management, of the associated files and documents. The company has also been recognised as an ‘Elite Reseller’ 9 times in the last 11 years – an achievement that hasn’t been matched by any other SolidWorks Reseller in the UK. In December 2016 Powervamp was approached to participate in a SolidWorks / Cadtek case study film to highlight the various CAD features being utilised within the Powervamp CAD suite. The company was chosen due to its diverse use of the SolidWorks software across a wide range of automotive, emergency lighting, static frequency and aviation products. The software allows Powervamp to develop products in house, retain control over the designs, whilst demonstrating this within data sheets, manuals and the even the website. One aspect that has really benefitted the R&D team is the ‘flow simulation’ feature. This has been used on a number of products that are regularly exported to countries that experience far hotter ambient temperatures than the UK. Excessive heat surrounding the complex circuitry in products such as the PV90-3 frequency converter can reduce product longevity. The CAD engineers can manipulate virtual fan blades, airflow and even vortexes within the software to understand how to maximise cooling within these enclosures. Powervamp also incorporate a lot of chassis into their towable ground power units, which uses a lot of thick gauge metal. SolidWorks can show where the loading takes place and allows the engineers to optimise the designs by reducing the metal gauge where necessary. 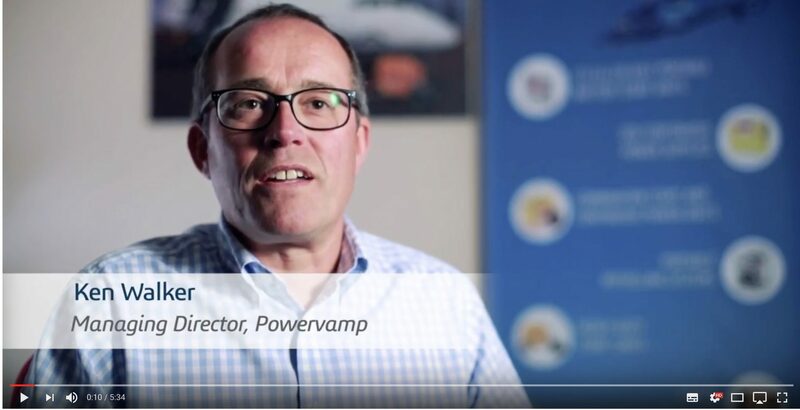 The software has transformed the way in which Powervamp approaches its design process by greatly reducing the requirement for numerous prototypes. This expedites the concept to production process which saves money for both the company, and the customer.